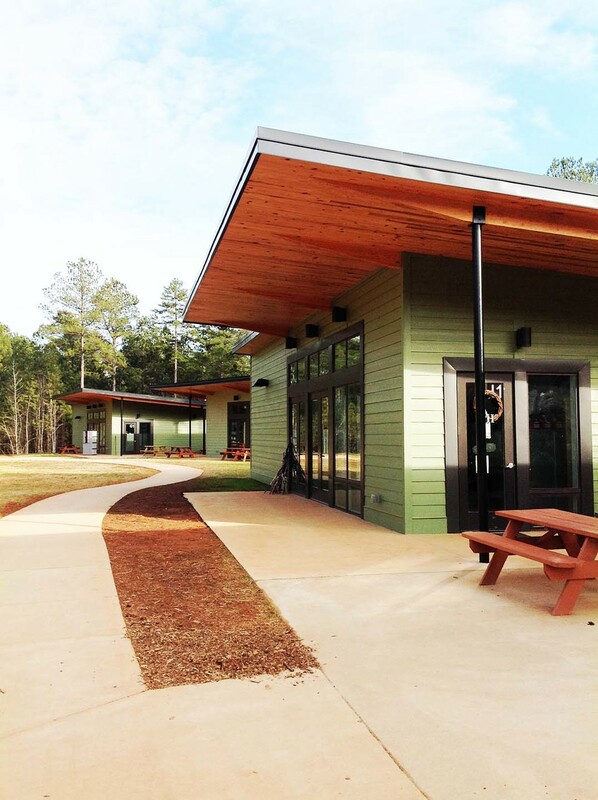 Chattahoochee Hills Charter School is located in South Fulton County, just outside of Atlanta. The focus of the school was to have a close tie to nature, allowing the exploration of the world outside of the enclosed structure. The campus consists of 19 classrooms grouped in 13 buildings and clustered along a meandering path. 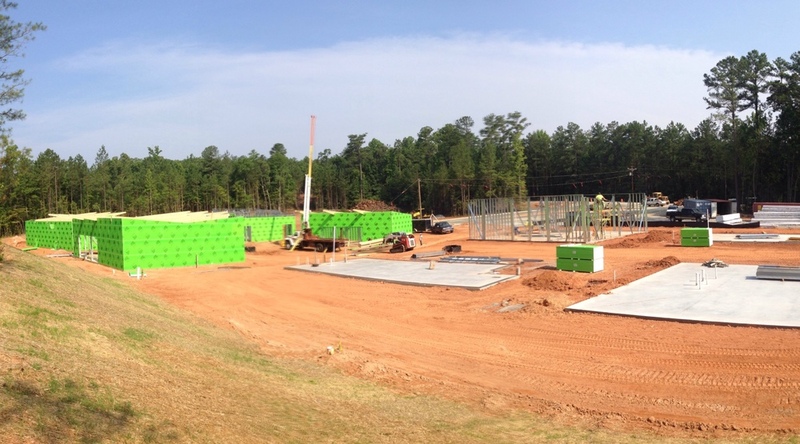 The total class room space is 20,400 sf, the campus is located on an 11 acre wooded site. The school currently contains grades K-5 and an enrollment of over 300 students. Each grade consists of two buildings and a shared courtyard. The smaller building is a single classroom, approximately 1,200 sf. The larger buildings are 2,000 sf and contain two classrooms. Large windows provide a constant tie to the exterior, while deep overhangs allow the use of the courtyards even during inclement weather. Each class room group contains bathrooms, computer centers, lab space, mechanical and storage space. The project has a Southface graded Earthcraft Gold rating. Phase II upcoming in 2016. Master Plan and concept by Perkins+Will, Architecture by TaC studios.